Have you heard people buzzing about barre classes? Simply put, barre is a ballet-inspired workout that combines the best elements of ballet barre, pilates, sports conditioning, and flexibility training. “It gets you a dancer’s body without the dancing,” said Ella Jotie, co-founder of Barre Fitness, Canada’s first barre franchise. "We opened our first location in 2010 in Vancouver, BC. At that point, barre had already taken off in the United States, but nobody was really doing it in Canada." Barre Fitness was co-founded by Ella (who has a background in dance and fitness) and Michele Murgel (who has a background in HR and tech). Their incredibly different skill sets led to a match made in franchising heaven. "We are currently the largest barre company in the province – with 5 locations in and around Vancouver, BC – and franchise requests from across the country continue to flood into our inboxes,” said Ella. "We like to differentiate our company as being really culture-forward, especially in an industry that’s generally so high turnover and extremely political at times." 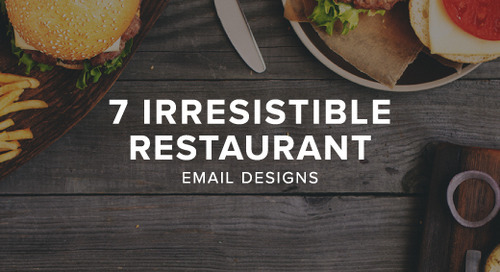 Ella is a huge fan of email marketing, especially when it comes to communicating with clients and franchisees. Since they have such a robust email program, it’s absolutely vital to Barre Fitness that they get every element of their strategy right. And one of the toughest challenges they’ve had to face has been navigating Canada’s strict permissions laws. Canada's Anti-Spam Law (CASL) is one of the toughest laws of its kind in the world, making its application and interpretation particularly thorny. Its key feature requires Canadian and global organizations that send commercial electronic messages (CEMs) within, from, or to Canada to receive express consent from recipients. “As a Canadian company, we have to operate within the scope of CASL to be able to send all our fantastic news and content to our subscribers,” Ella said. Originally, the Barre Fitness team was using an email signup form that, yes, got them the express permission they needed… but the user experience was incredibly clunky. Ella wanted a way to streamline the process and create a better experience for new subscribers. “That’s where I came up with the idea for the bubble,” Ella said. "I had seen another company do it and thought, 'What an easy way for someone to sign up and give permission at the same time!'" Ella needed some help turning her idea into reality, so she approached Emily (Email Specialist) and Phillip (Technical Services Consultant) from our Services Team. Now, Ella doesn’t have to worry about muddying up her signup process to get the right permissions, and she’s able to provide a much better experience to both new and current clients. We love working with savvy customers like Ella and Barre Fitness and helping turn their ideas into reality. If you’re an Emma customer and want to chat with our Services Team about implementing something similar on your website, just give us a shout! 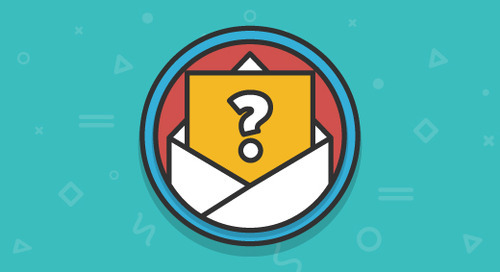 I have an email list - now what? So, you've collected an email list. But now, what do you do with it?